Drive-By Classic Movie Junkie…OMG! 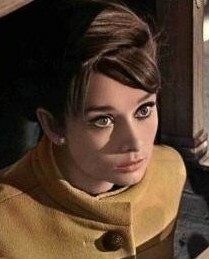 It’s Audrey Day! If I’ve ever done a blog post during the work week before, I can’t remember it, but–crazy busy as it’s been of late–I couldn’t let this get by. Classic movie lovers such as moi have been basking in happiness this month with TCM’s Summer Under the Stars. Stars featured included some of my all-time favorites: William Powell, Paul Newman, Carole Lombard, Claudette Colbert, Cary Grant, Jimmy Stewart and Barbara Stanwyck. Can it get any better? You betcha! 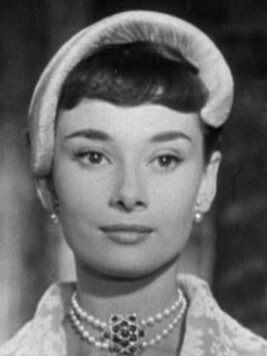 Today tune in for Audrey Hepburn! Check it below. Three of my favorite Hepburn films are on deck. What are your favorite Hepburn films? 4:00 pm The Children’s Hour (1961) Drama. TCM. A student’s malicious lie wreaks havoc with the careers of two dedicated school teachers. Audrey Hepburn, Shirley MacLaine, James Garner. Why? Based on a 1934 play by Lillian Hellman, The Children’s Hour is about the irreparable harm to reputation and livelihood one insidious lie can do. In the time period the play was written and even when this movie was made nearly 30 years later, the nature of the lie—the mere insinuation that a teacher was gay—was enough to destroy a career. Expect to get drawn in. Great performances all around. 6:00 pm Wait Until Dark (1967 ) Suspense/Thriller. TCM. An innocent blind woman is terrorized by criminals who believe a cache of heroin is hidden in her apartment. Audrey Hepburn, Richard Crenna, Alan Arkin. Why? 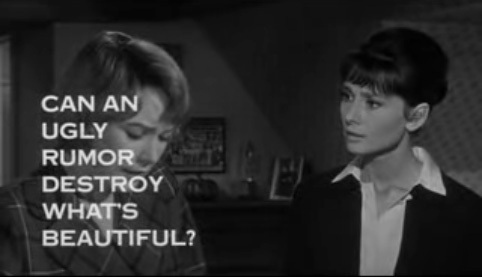 Some aspects of this 60s nail-biter are contrived, but Audrey Hepburn’s Oscar-nominated performance still stands up beautifully. Alan Arkin’s does as well. He’s just plain skin-crawling as the deadly Mr. Roat. In 2004, the Bravo cable channel ranked Wait Until Dark’s hair-raising climactic scene number 10 among its 100 Scariest Movie Moments. 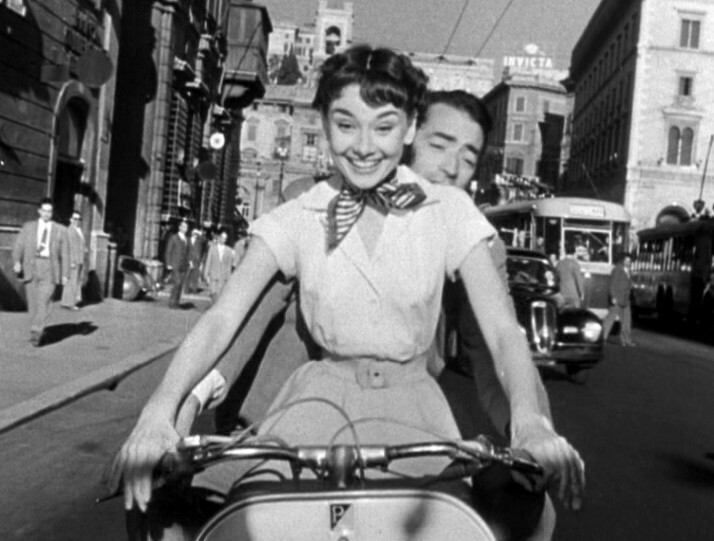 8:00 pm Roman Holiday (1953) Romantic Comedy. TCM. A runaway European princess falls in love with an American reporter who is being paid to write an exposé on her. Audrey Hepburn, Gregory Peck, Eddie Albert. Why? Ask a group of twenty women over thirty to name their favorite classic movie, and there’s a good chance more than one will choose Roman Holiday. This perfectly delightful 5-star romantic romp through the Eternal City launched Audrey Hepburn’s film career and won her not only an Oscar for Best Actress but a special place in movie-goers hearts that lives on today.